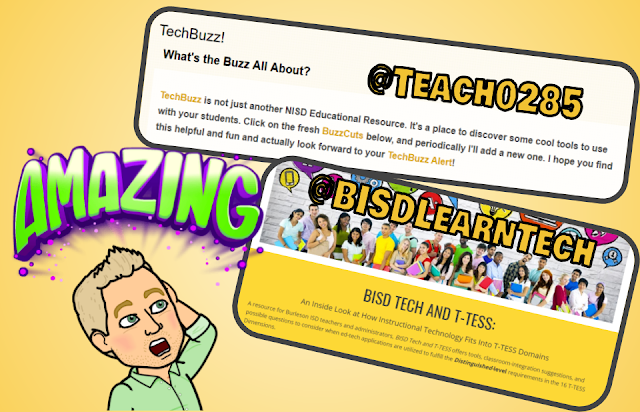 Along with our blog, (Brenham Tech Daily: BISDwired), we would also like to share out these two awesome resources we've seen circulating and shared out via Twitter. Both of these resources provide tools, tips, and strategies to increase technology engagement in your classrooms. The first resource comes from Deena Wilson (@Teach0285). Over the years, Deena has curated a comprehensive list of resources, tools, and assessment pieces for her educators in Nederland ISD and her PLN. TechBuzz! What's the Buzz All About?